Some seven years ago I visited Cisco's UK headquarters at Bedfont Lakes (they were a long standing client at the time) and was amazed to see a fully functional TV studio built on IP. 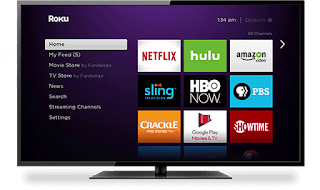 It was, more than anything, a statement of intent, and the company has steadily and surely being building and rolling out and impressive IPTV strategy ever since. It has involved some very large scale (Scientific Atlanta) and some smaller scale (Extend Media) acquisitions, as well as a concerted move into the home through the acquisition of Linksys. It even bought the makers of the popular Flip video camera, Pure Digital. Today the company has announced the fruition of its intentions in no uncertain terms through the launch of Videoscape. This is a concerted attempt to do what Microsoft failed to do with its 'Media Room' strategy and challenges everyone from middleware and CA companies such as NDS to more direct networking competitors such as Alcatel Lucent. At its core Videoscape seems to be a souped up and integrated version of Extend Media's video management platform. The only problem for Cisco is that this is a very mature market by now with lots of incumbents, and the price tag they are likely to place on this technology will limit their marketplace to enterprise users, including larger broadcasters and some corporates. The problem with the media marketplace, as other vendors such as Oracle have found out, is that it appears very valuable from the outside, but is so fragmented and has such a long tail that it is difficult for very large companies to make a business case for it. Cisco seems to be aiming to circumvent this by owning the market end-to-end, playing for everyone from the broadcasters (but note: not necessarily the content owners) and the living room viewer at the same time.